Edward Fung is a founding partner of Royal Pacific Realty Group and manages our Kingsway office, one of the busiest real estate offices in Vancouver. He has been at the helm since 1995 helping to develop the company into one of the largest and most well-respected real estate firms in Canada, with a total sales volume of well over $2 billion in 2006. Ed originally set out to be an accountant and was in his 4th year of a CGA program when he decided to pursue a career in real estate. Since then he’s gone back to school and is an associate broker (previously known as an agent 9.15). For more than a decade, Ed has been a gold master member of the exclusive Medallion Club of the Real Estate Board of Greater Vancouver. 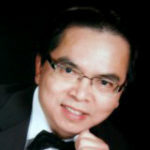 He is past president of the Real Estate Board of Greater Vancouver’s Eastside Division, a member of the Chinese REALTOR Association and a member of the Lion’s Club.